Richard Halliburton was an American adventurer, journalist, and travel writer who may be best remembered as swimming the length of the Panama canal and only paying 36 cents for his toll. He apparently caught the travel bug while in college at Princeton. 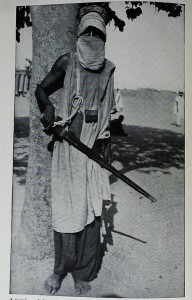 For a time he left school to travel as a seaman sailing from America to Europe. Though he did return to finish his studies Halliburton decided upon graduation to travel the world and write about it so he could make a living. 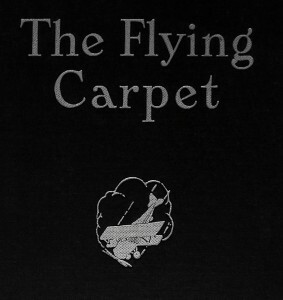 The Flying Carpet chronicles his adventures with aviator Moye Stephens whom he hired to fly them across the world in an open cockpit biplane. 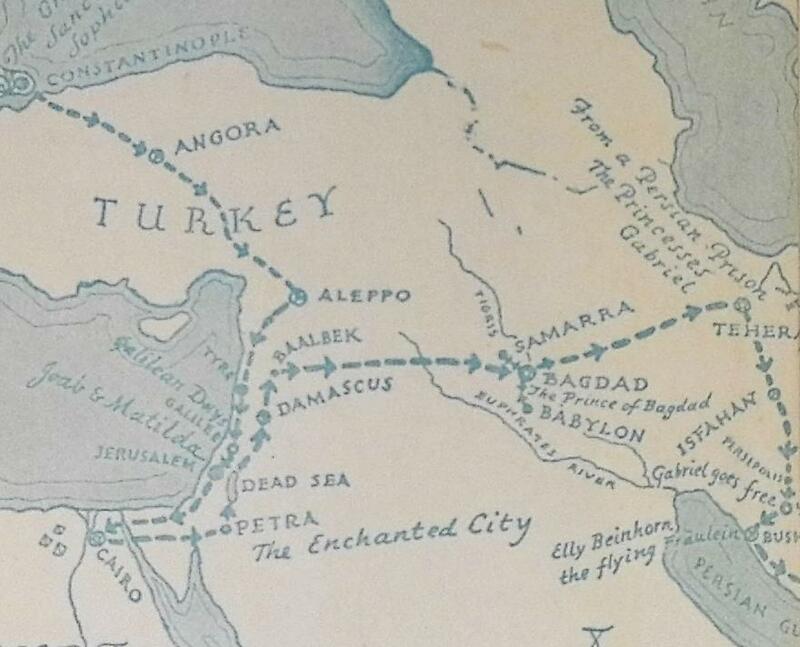 They left on Christmas day in 1930 and it took them 18 months and 34 countries. Halliburton’s book was a best-seller at the time and included fascinating anecdotes of the places and people he met during this adventure. 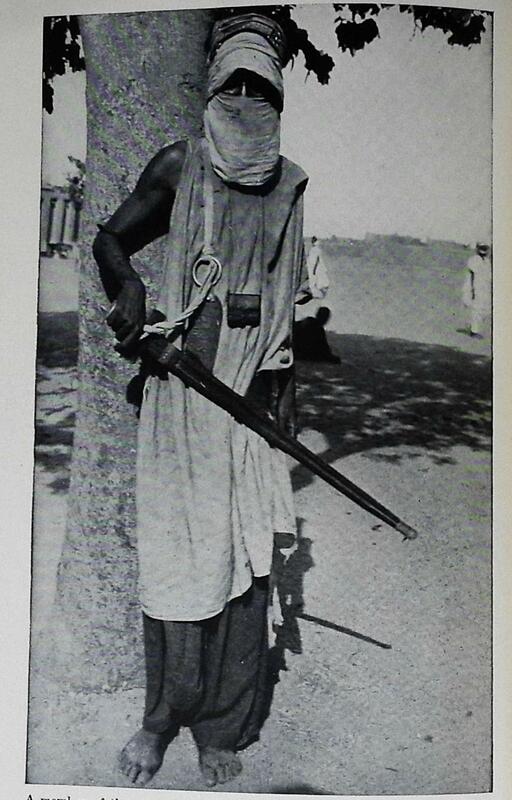 For instance in Timbuctoo he encountered the Tuareg, a tribe that requires all men be veiled, while the women, who go about unveiled, are in control of all social life. There is also a fascinating chapter about their time in the Imperial Prison in Teheran. As it turns out it wasn’t because they committed any crimes, but that they wanted to see what life was like inside, so they appealed to the Shah. After establishing that they wanted to live as prisoners for a few days, thereby getting to know the “Persian scene” their request was granted. 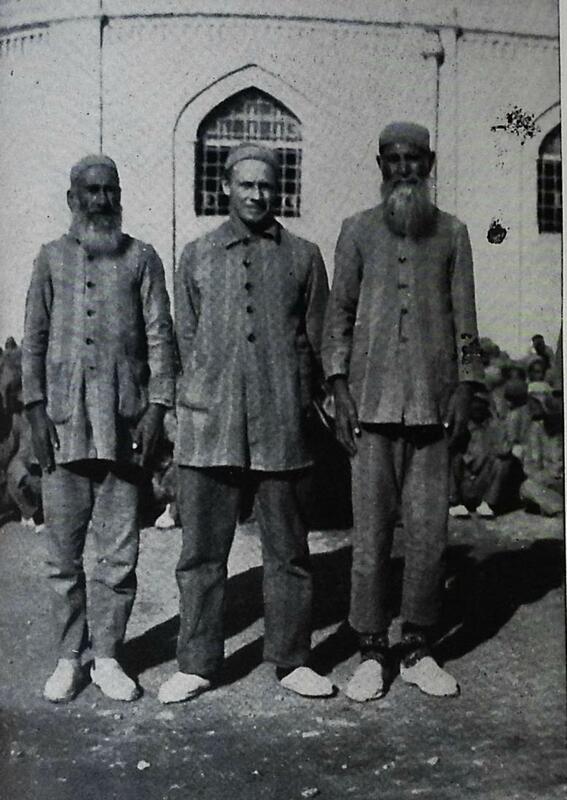 Inside the prison they encountered many types of people including an older gentleman named Babadul, pictured on the right side of the photograph with Halliburton in the middle. Apparently Babadul was a quite bothersome bandit and was serving a life sentence for killing a tax collector, only being spared death by his advanced age. After covering 33,660 miles Halliburton and Stephens ended their trip in Manila Bay before taking the S.S. President McKinley back to San Francisco. 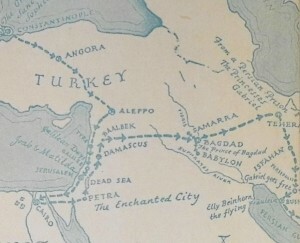 Halliburton continued to write extensively on other travels and topics mainly through newspaper commissions, including the Boston Globe. In 1939 Halliburton undertook his last adventure sailing a Chinese junk from Hong Kong to San Francisco. The Sea Dragon set out in March and three weeks later they encountered a typhoon and Halliburton was lost at sea. The flying carpet / by Richard Halliburton. Garden City, N.Y. : Garden City Pub. Co., 1932. G440 .H25 1932. can be found in Widener’s collection.